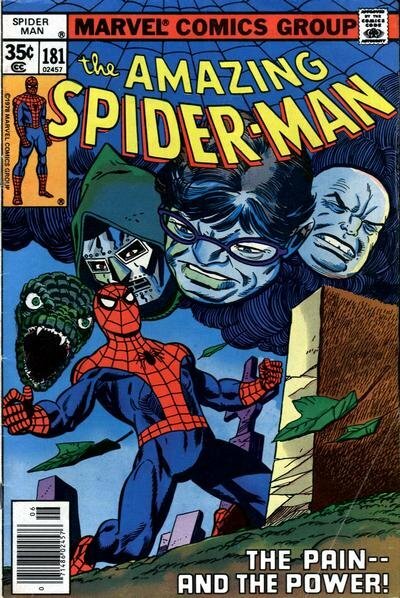 Click Here To See Amazing Spider-Man #181 Comic Book! Check out this very nice 1978 Amazing Spider-Man cover prelim which was penciled and inked by the great Gil Kane, from the EVER CLASSIC Spidey story titled: "The Pain -- And The Power!" This nice DETAILED cover prelim is drawn on 11 by 17 inch drawing paper, and features Spider-Man kneeling at the grave of Uncle Ben as he asks why he got his powers, while heads of the Lizard; Doctor Octopus; Doctor Doom; and Kingpin loom behind him! 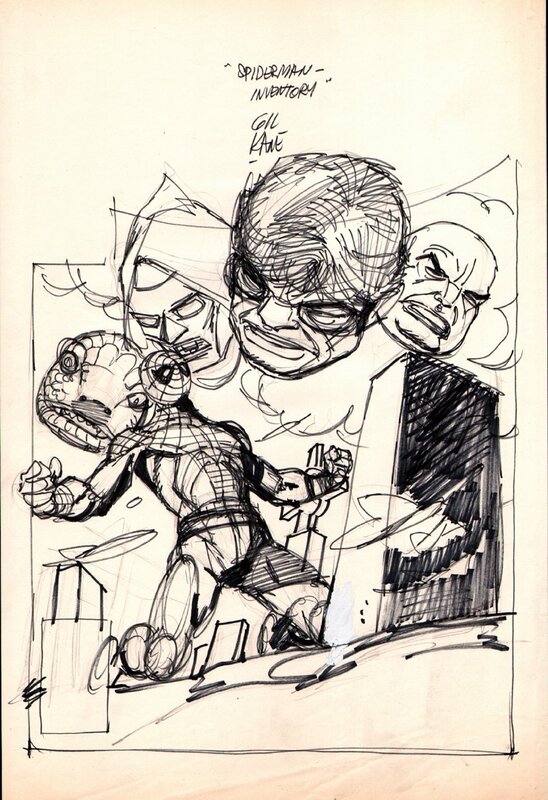 Just a GREAT, "SIGNED" CLASSIC "AMAZING SPIDER-MAN" Cover prelim to own, without paying a published ASM cover price, while still showing off Gil Kane's incredible, pure, untouched pencils AND INKS, just before he created the published cover for publication! Compare this nice cover art to the published comic book in the red link above!